This May Twilight Creations will release Jupiter Rescue, a cooperative strategy game by Mark and Christina Major. You play a crack team of rescue robots, launched into space to help the humans at the Jupiter Deep colony escape imminent death at the hands of a shapeshifting menace from beyond the stars. Between 2 and 7 players work together to evacuate colonists before they’re converted into alien creeps. Players take 5 actions to move, drive back the creeps, and use powerful programming cards. The board and dice rolls determine creep advancement, and double-sided tiles allow for hundreds of station variations. Jupiter Rescue takes 30 to 60 minutes to play, and contains 20 double-sided module tiles, 1 evacuation pod tile, 4 reference cards, 36 rescue cards, 1 six-sided die, and 127 plastic figures (7 player robots, 50 colonists, 60 creeps, and 10 super creeps). The Battle at Kemble’s Cascade is a board game adaptation of a classic shoot ’em up video game. 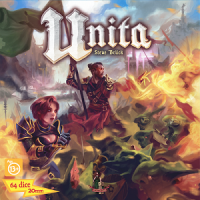 In the game, which is played out on a scrolling space backdrop, the players take on the roles of brave space pilots sweeping around in nimble yet powerful fighters, searching the asteroid clusters for universal glory and ancient technology. Players compete to obtain the most glory, with glory resulting from carrying out missions, finding lost treasure in asteroid clusters, and destroying alien entities, not to mention other players. In the game, players fly through an ever-scrolling space setting, which is represented by rows of cards. Each turn, the bottom row is removed and a new row is added to the top. Players move their spaceships and resolve effects continuously, performing actions such as collecting power-ups and money, fighting alien cruisers and titans, blocking and shooting other players, and dodging asteroids and black holes. The players need to balance the use of their ships’ energy as it’s used for both absorbing enemy fire and boosting their movement speed and fire rate. The game includes missions and achievements as well as a mechanism called “threat level” to keep everyone in suspense throughout the whole game. Threat allows players to enjoy the satisfaction of both shooting wildly at each other and dodging the hundreds of bullets raining down from enemy fighters and other players. 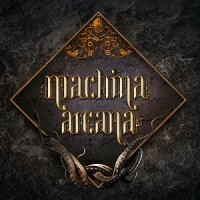 In Machina Arcana, players take on the role of explorers who are investigating an ancient subterranean complex of unknown origin. They face monsters inspired by H. P. Lovecraft’s Cthulhu mythos in a steampunk setting. The adventurers collect equipment, interact and utilize their environment, fight monsters, and immerse themselves in the rich narrative elements.